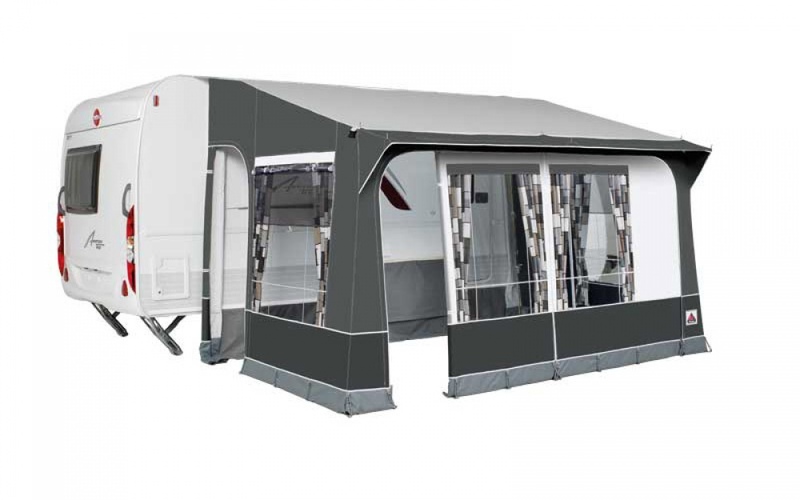 The Quattro 380 and the new 430 model are designed and manufactured for the camper who demands extra space and comfort. These two models have been specifically designed for todays seasonally sited and winter campers. The extra strong Ten Cate materials along with the added cost options to upgrade to an extreme 28 mm steel frame, as well as optional cost winter package, will cater for all. Both models are now fitted with substantial cushioned rear pads as standard, which enables the freestanding frame to ensure a perfect fit to your caravan.